Democrats are poised to make Republicans cast a series of tough votes on legislation approving the Keystone XL oil pipeline, which the GOP hopes to send to President Obama’s desk soon. Obama has vowed to veto the bill, and Democrats do not appear to have the votes to kill the legislation in the Senate as they have repeatedly done in the past. Instead, Senate Democrats opposed to the pipeline are offering amendments that they think will be tough for the GOP to vote against or that will play well in the 2016 elections. In offering the measures, they think they can take advantage of Senate Majority Leader Mitch McConnell’s (R-Ky.) pledge to run the Senate differently from Democrats by allowing members of both parties to offer amendments more freely. 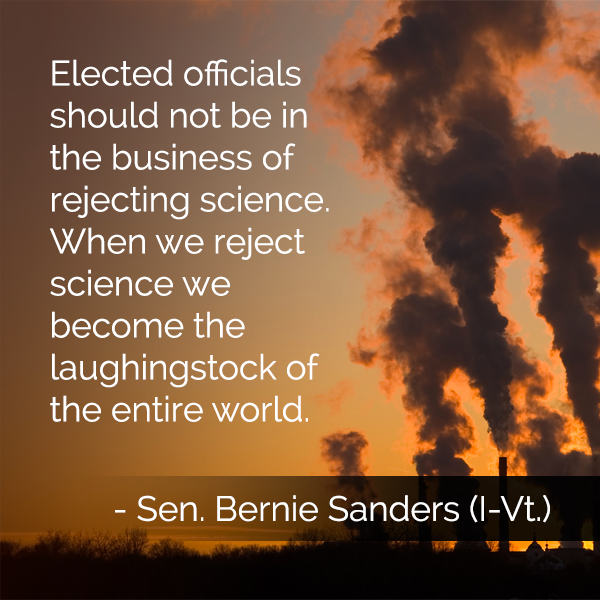 Sen. Bernie Sanders (I-Vt.), for example, plans to offer a nonbinding resolution on whether lawmakers agree with the 95 percent of scientists who say human activities contribute to climate change. “There are lots of things that members of the Senate can disagree about, but I think we should not be disagreeing about what the scientific community tells us,” Sanders said in a brief interview with The Hill. “I am going to offer an amendment which will allow Republicans to tell the American people whether or not they agree,” he said. Another promised amendment would require companies transporting crude oil through the Keystone pipeline to pay into an oil spill cleanup fund. And Massachusetts Sen. Ed Markey (D) is expected to offer a measure that would ban the export of any oil shipped through the pipeline. Both measures could be difficult for lawmakers to oppose, regardless of party. Consideration of the amendments is expected to begin Tuesday after the Senate voted to advance the Keystone legislation on Monday in a 63-32 procedural vote. McConnell on Monday repeated his pledge to allow Democrats to offer their amendments as part of an open process. McConnell’s office has also said that members in both parties will be allowed to offer amendments even if they are not related to Keystone. “Senate rules (except on rare occasions) don’t require an amendment be germane,” McConnell spokesman Don Stewart told The Hill in an email. Republicans, of course, will offer a series of non-germane amendments to play politics with this bill as well. McConnell shot back at reports he might block the Sanders amendment, exclaiming “yeah” when asked if his caucus is prepared to take a vote on climate change. “We are not anxious to block anybody’s amendment, we are wide open. The Senate is out of practice here,” McConnell addded. Sanders’s amendment is one of many Democrats are looking to tack on to the controversial bill, which Republicans are eager to send to President Obama’s desk. The White House has threatened to veto the Keystone legislation. Other amendments from Democrats include a requirement for oil companies to pay into a spill cleanup fund, and to block exports of the oil shipped via the Canada-to-Texas pipeline out of the U.S.
For those of you who love the “inside baseball” of the U.S. Senate, this is your night to curl up on the couch and tune in to watch C-Span.